The Infinix S2 Pro, also known as Infinix X522 was fully launched in Kenya a few days back, S2 Pro came with amazing features and it is really a big upgrade to the last year’s Infinix Hot S X521. 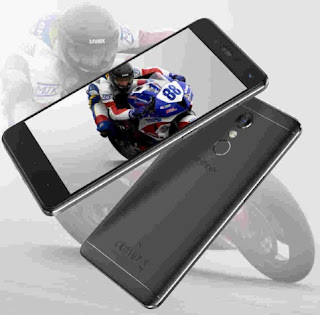 You might skepticism why we are shouting too much on this new smartphone, the Dual Front Cameras are what really inspire me about this Infinix S2 Pro. You get to have the whole crew do a wefie! From Selfie to Wefie. The S2 Camera system feature 2 new Cameras. A 13MP beauty camera, complemented by a 8MP camera 130° wide-angle lens. Now you can capture the world in all its nuance. The device body had its curvature redesigned to perfectly fit 2.5D glass. This coupling created the signature feel of the 5.2" Infinix S2. Once it's in your hands, you won't want to let it go. Equipped with a 64-bit octa-core processor. Infinix S2 is primed for multitasking. Responsive fingerprint recognition achieves unlocking in 0.2 seconds. Regardless of word or leisure, the 2/3GB RAM can navigate between tasks with ease. A 3000mAh battery is coupled with X-charge and power-efficient XOS for prolonged usage time. Infinix S2 Pro is now available in Kenya, but is yet to launch in Nigeria. Once available, you can buy the Android phone at leading online stores in the countries. Infinix S2 Pro price in Nigeria is expected to range from 47,000 Naira to 75,000 Naira, depending on your location.